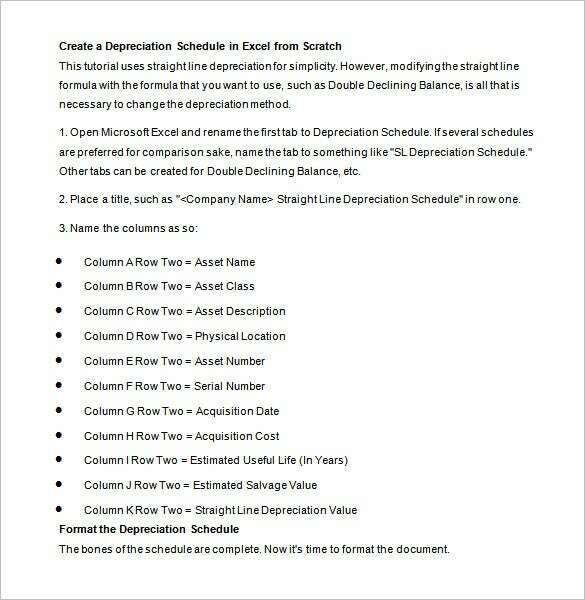 Depreciation Schedule Template – 9+ Free Word, Excel, PDF Format Download! 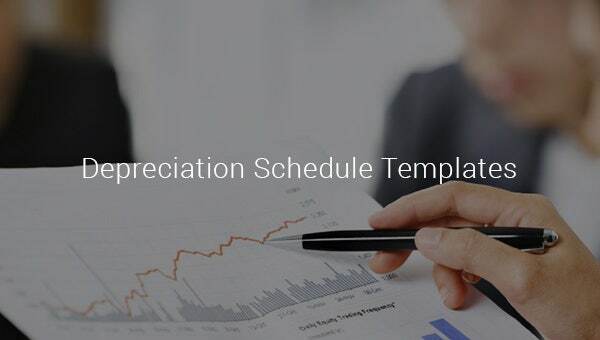 Depreciation schedule templates are perfect for listing multiple assets while offering the option to select different depreciation methods for the purpose. 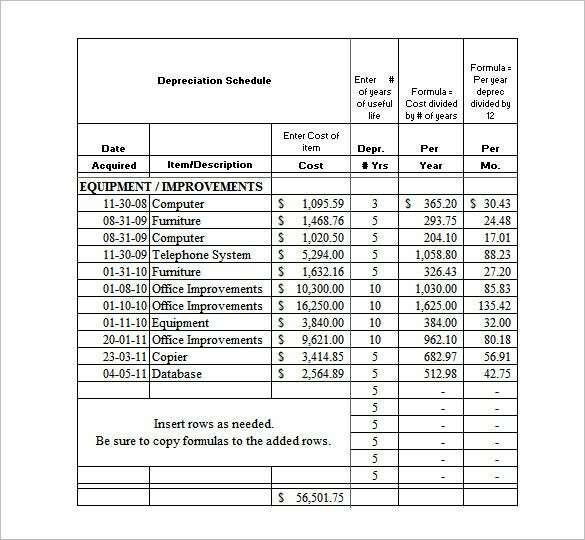 These templates are perfect for creating financial reports related to small and mid-sized businesses. You can also see Day Schedule Template. Every asset in its lifetime goes through period of depreciation. 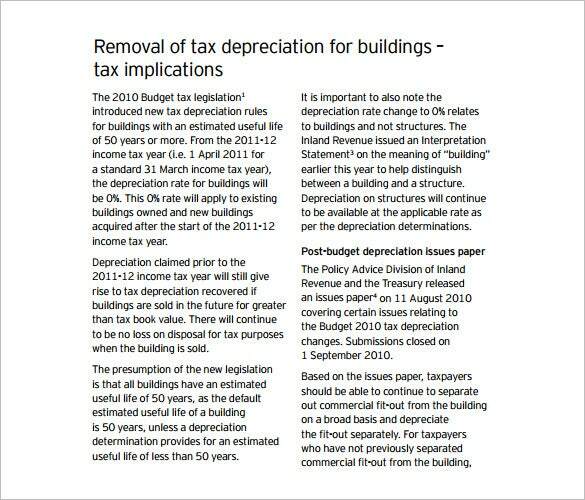 When accounting and tax calculations are in play, depreciation of assets ought to come under the radar as well. This is when depreciation schedules are useful. 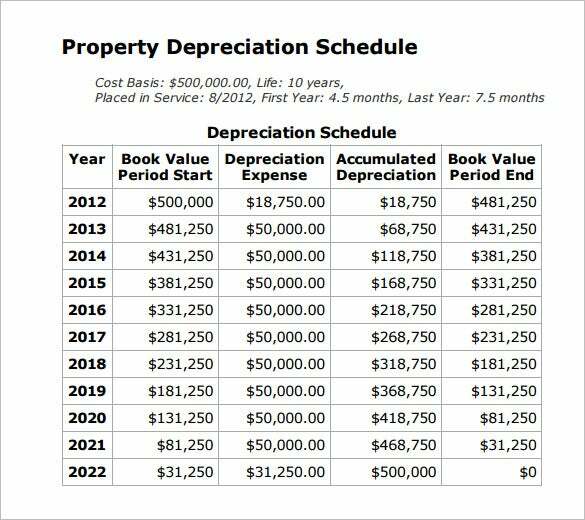 By definition if you want to understand, a depreciation schedule is a kind of time-table which chronicles the depreciative value of an asset during its lifetime. You can also see Schedule Template. 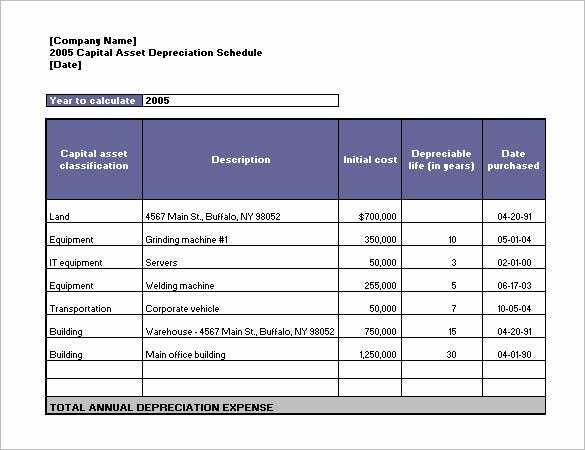 Depreciation schedule templates are best for writing off the overall cost of the high-value asset purchase for a certain range of time. 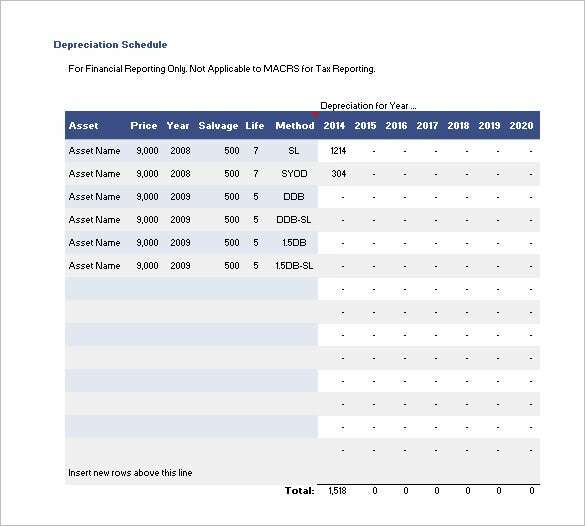 Some of the premium and top level depreciation schedule spreadsheet feature sections to enter details of all your fixed assets & depreciation. 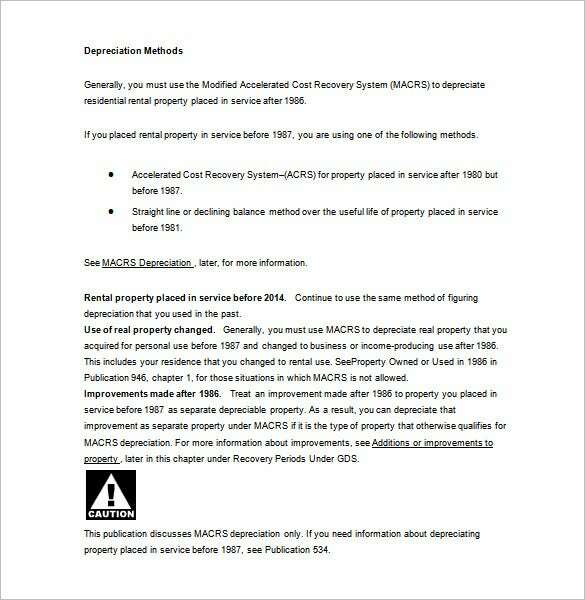 The sections in the template include date, supplier, purchase value, location, depreciation period and scrap value. 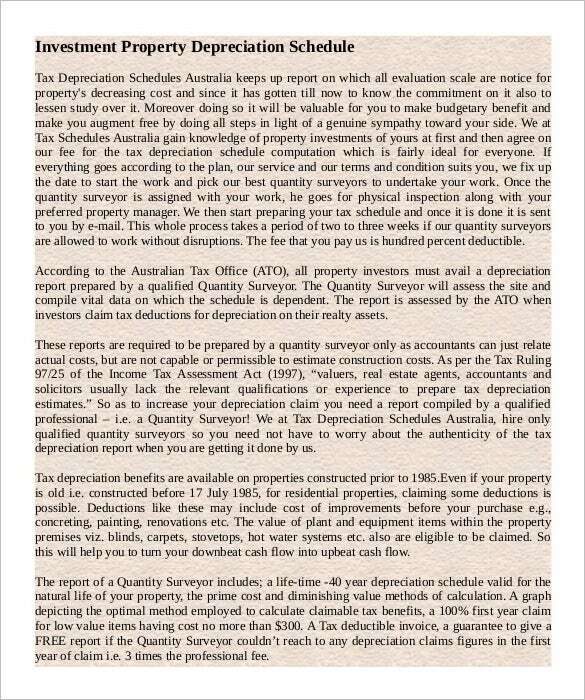 After you’ve successfully downloaded a depreciation schedule template of your choice, you can fill in the relevant information. 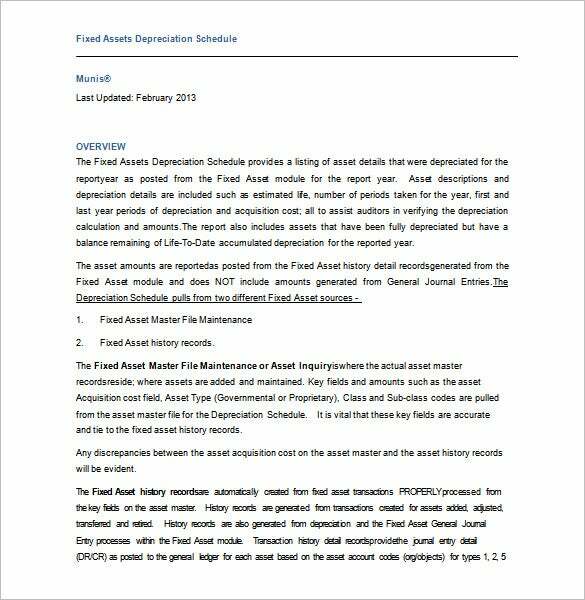 With the help of a depreciation schedule software you’d easily be able to monitor and track down the information of your assets – including their valuation graphs – from its start to till date. Download the free and paid versions of these templates now.